The Oncology Rehab Program at Bacharach offers a wide range of exercise and treatment designed to maximize mobility and function while improving overall well-being. Cancer and the side effects of cancer treatment may affect balance and coordination, energy level and endurance, and range of motion. Therapists in the oncology program can offer treatment, education, strategies and support to help manage the side effects of cancer treatment. Close to 80% of people undergoing treatment for cancer report experiencing Cancer-related Fatigue. CRF is a feeling of being tired that does not improve with additional sleep. Bacharach’s oncology therapists can design the right CRF program to improve endurance and help patients to return to their prior level of function. Lymphedema is swelling caused by poor circulation of the lymph system. It is a common side effect of surgery, particularly when the lymph nodes are removed. 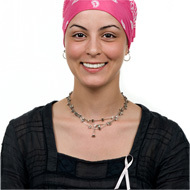 Bacharach offers the oncology patient evidence-based assessments and therapy techniques.